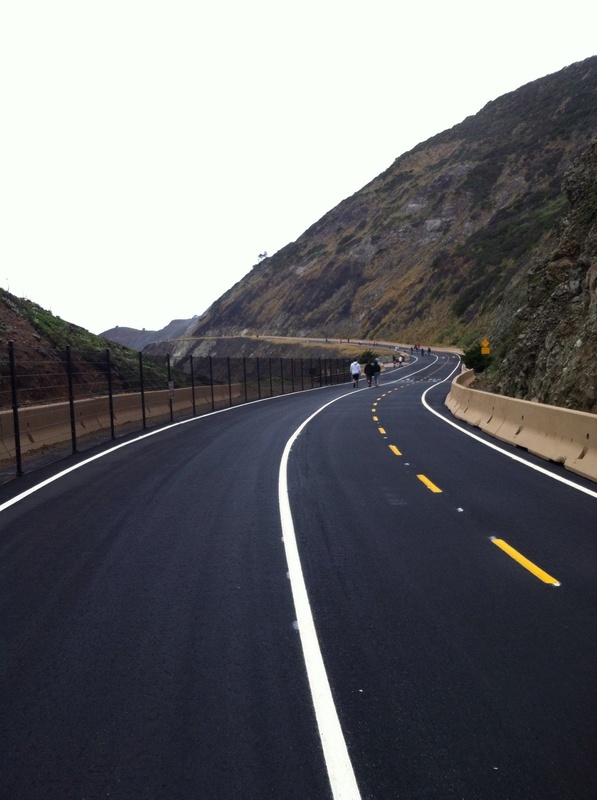 Last March Devils Slide was closed to traffic forever, bypassed by two much safer tunnels. 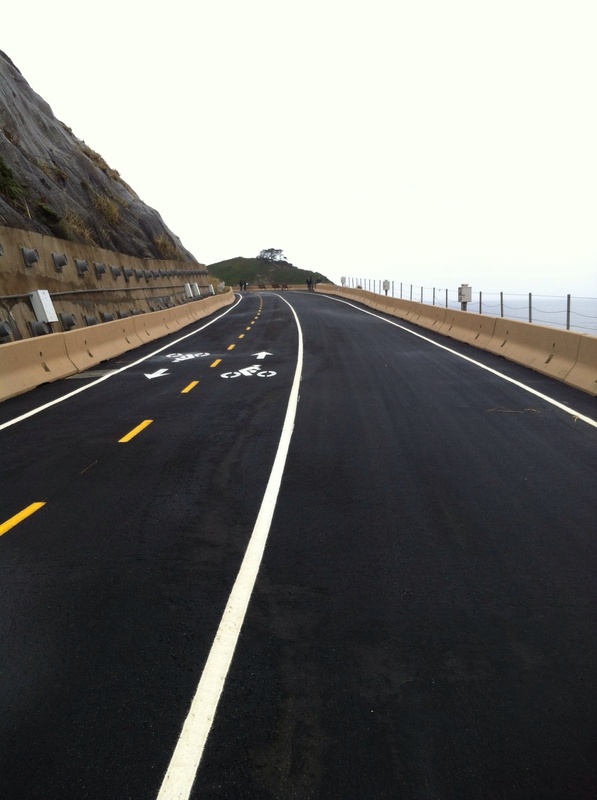 The San Mateo County Parks system ended up taking ownership of this trouble prone stretch of road and turned it into an incredible hiking trail sitting on the edge of the coast with incredible views of the Pacific you could never dare to enjoy driving along this part of Highway 1. There are small parking lots on each end of the trail. On the north side entrance there are roughly a dozen spots in one lot, and on the south side entrance has 2 parking lots each with roughly a dozen spots. Parking was free when we visited. Be cautious at the signal for the turn off for the south side, it's a new installation and there have been some accidents already. 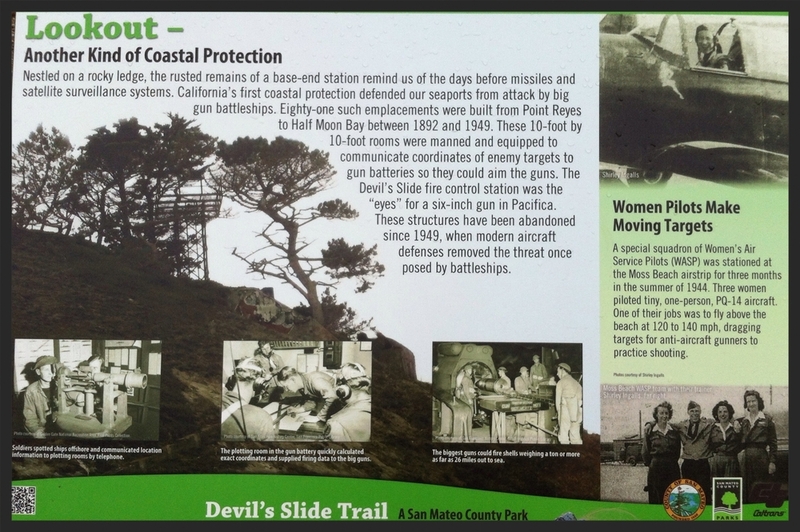 There is also a free shuttle operated by the City of Pacifica you can pick up on the north side of devils slide you can pick up at the Pacifica State Beach parking lot (by the Taco Bell) and will return you to the Linda Mar Shopping Center / Park and Ride lot. You probably want to start the hike from the southern end, there is a decent climb for the 1.3 mile hike (my fit it registered 29 floors climbed for the entire round trip), and it probably better to get the uphill out of the way on the first half of the trip so you can coast down the hill on the way back a bit easier. There are 2 pit toilets on each end of the trail, which can be a little difficult to navigate with kids. The closest regular bathroom is probably the Starbucks in the Linda Mar Shopping Center just a short drive north of the trail. The road has been repaved with clear demarcations for bikes and walking, but it's pretty easy to stay across the trail, so be aware of bikes. There are frequently posted signs to ride at 15 MPH or less, but if you've ever been on Sawyer Camp Trail, you'll realize that people will likely ride faster, especially with such an inviting downhill grade - so stay aware. Rangers are on patrol, so hopefully this won't get to be too bad. There are 2 scenic overlooks with nice benches to sit and have a rest, each with a telescope (50¢) to have a closer look at the beautiful view. Each overlook is about a third of the way in on the trail. Overall we had a good day here, the rain kept most people away (but made for some nice pictures). The kids complained a bit about the climb, but it really wasn't that bad at all. Having driven this road many times wishing I could stop and have a look around, this was a real treat. Personally I would love to have a closer look at the bunker up on the hill, even though its so precariously sitting on top of that crumbling rock. It was pretty cool just to stand there and imagine what it was like here during WWII. We are all looking forward to another visit, but probably won't bring the bikes, it would just be too much of a climb for the kids, and too steep of a downhill too. Go take in some ocean air on the coastside!